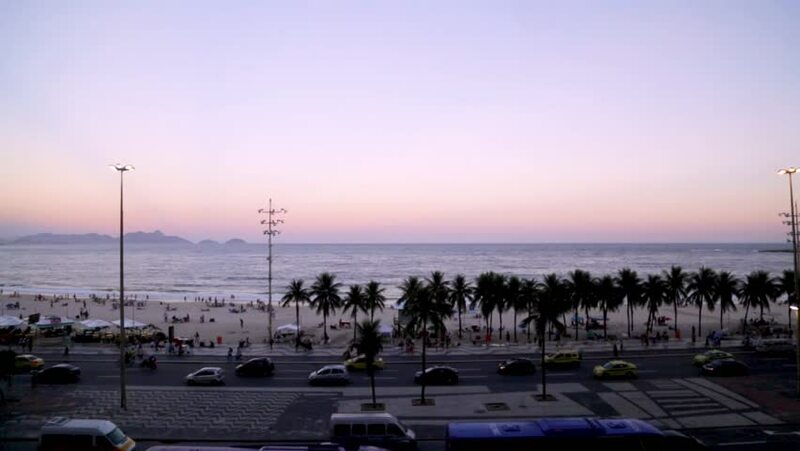 Sunset over Copacabana beach in Rio de Janeiro, Brazil. 4k00:16VENICE BEACH, CALIFORNIA - JANUARY 14: Skate park along side beach shore in Venice Beach, California on January 14, 2017. 4k00:25Monastir, Tunisia - 07 June 2018: Tourist people walking on city square near Monastir Museum popular arts and traditions in Monastir city. Top view city square in Monastir, Tunisia. hd01:00DUBAI, UAE - 04 AUGUST 2018 : Driving towards Floating bridge, Old Dubai through Maktoum bridge exit.